Commodore USA has resurrected another Commodore brand with the launch of the Commodore Amiga Mini PC, and this one is a little more powerful than the original Commodore Amiga. The Commodore Amiga Mini is a small form factor computer, inside you will find a 3.5GHz Intel Core i7 2700K processor, 16GB of DDR3 RAM and a NVIDIA GeForce GT430 graphics card with 1GB of RAM. It also features a 1TB hard drive, of the choice of a 300GB or 600GB solid state drive (SSD), plus it comes with a slot loading Blu-ray player as standard. 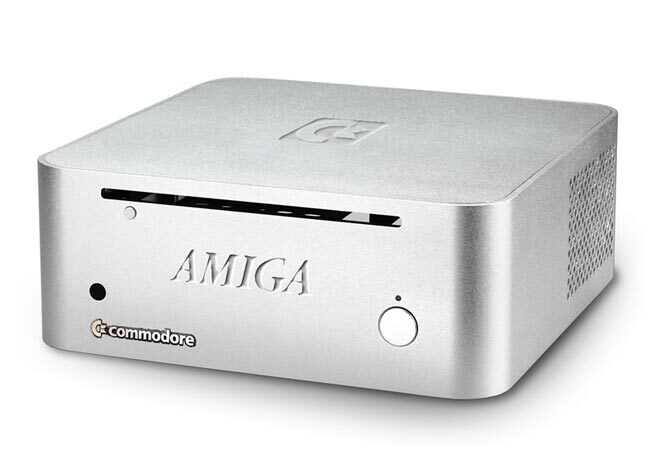 The Commodore Amiga Mini will retail for $2,495, although they are also offering a barebones version which comes with the Blu-ray drive for $345, it will be available in a choice of either black or silver, you can find out more details over at Commodore.